This topic contains 2 replies, has 2 voices, and was last updated by RandyS 1 year, 5 months ago. 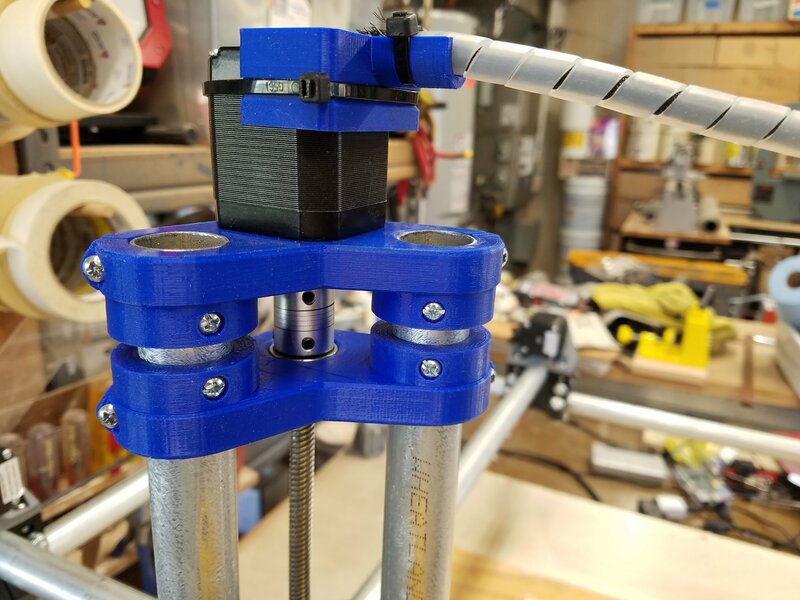 A friend had a student try to build an MPCNC, and we discovered a number of errors (missing bearings, untightened fittings, etc.) 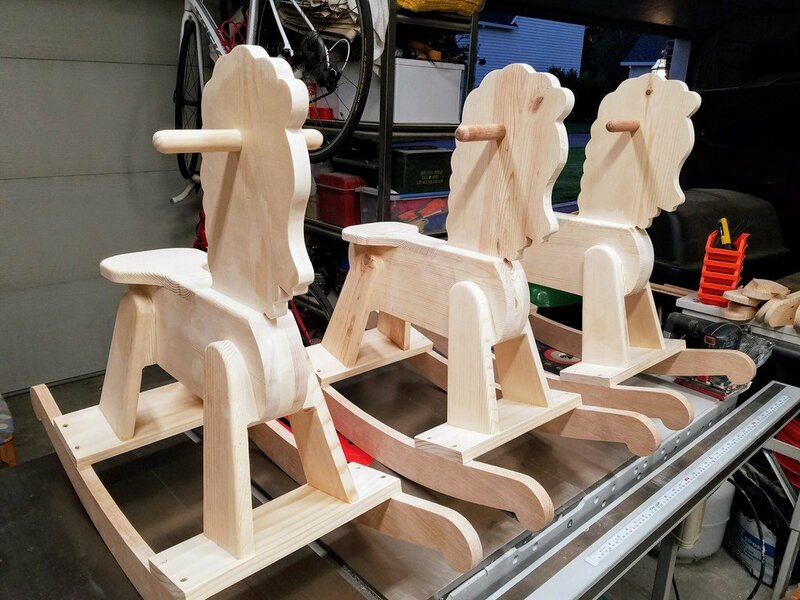 I ended up rebuilding and experimented by making a rocking horse using only the MPCNC to cut parts out. The result was fantastic. It was the first time I’ve used dowels for alignment where absolutely no adjustments were required to make things fit. Plus, the final assembly almost snapped together. The tricky part of this project is the wedges that spread the feet out on the horse, and getting the right angle on the bottom of the feet. 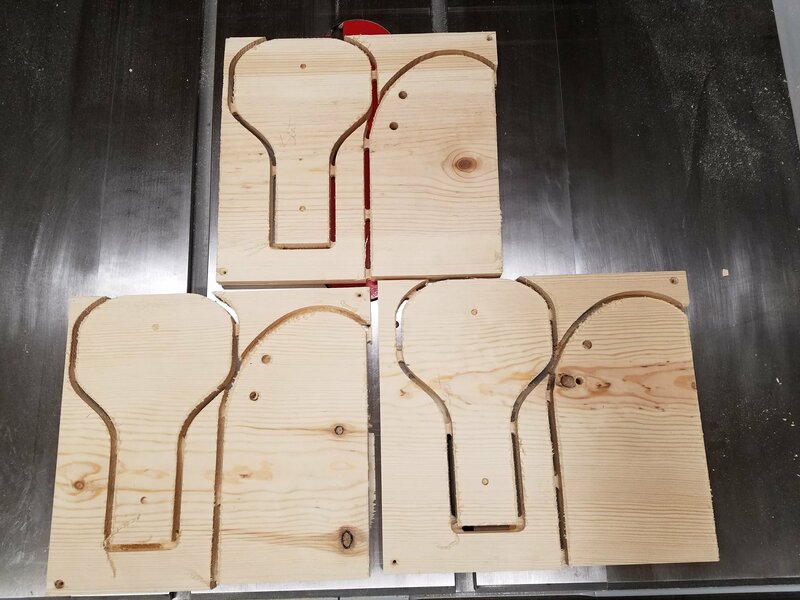 After a couple of false starts and more learning curve on Fusion 360, I was able to mill these as part of the cutout with only final sanding required. The finish without sanding was almost good enough for a glue-up without sanding. In the course of the project I made some mods to the design, which I detailed before. In the middle of the assembly I found that the wedges and legs were not exactly aligned on the first cut. Of course, I blamed the CNC, software, router, etc. until I eventually found the problem was an inadvertent shift in the 3D model. Correcting that and recutting resulting in a perfect fit. Definitely the way to go. Now, we’re building 3 more machines a bit larger to handle some longer pieces (36X20). We’ve got the parts and will be picking up tubing tomorrow. Will hopefully complete the new one over Thanksgiving. 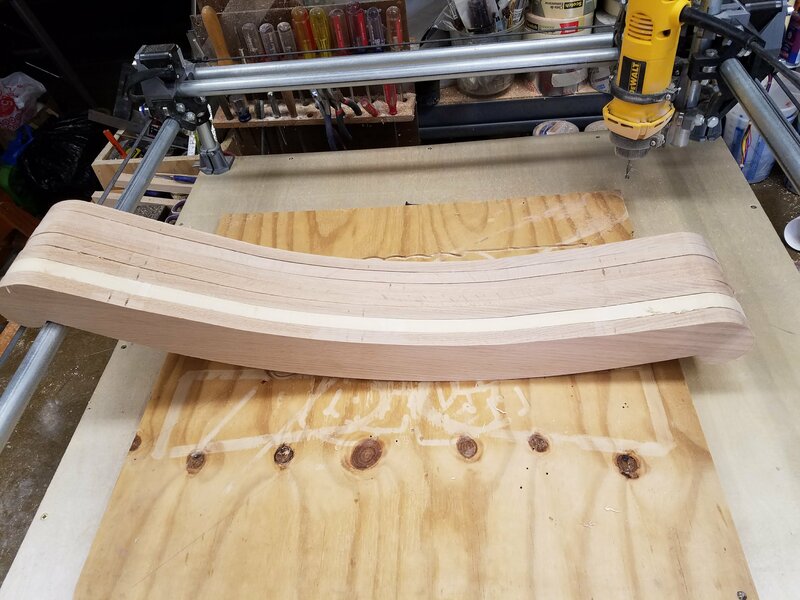 This one will use stainless steel tubing and we’re planning on a spindle instead of the router as I think we’ll also be trying some aluminum. That is awesome. Did you do the CAM in fusion as well? I haven’t seen many “multiples” projects on here. This one is great (and just in time). Where did you get the plans? Also, the first pic, where there are three smiling cartoon horses is kind of creepy. If you tried to kill them with an axe, would the pieces just get up, and grow into more horses? Is it just me? I did the design and CAM in Fusion, which is surprisingly good at the required operations. Most were just 2D profile, but the wedges needed 3D profile, 2D profile, and then Facing cuts. The simulator in Fusion CAM is extremely useful in figuring this all out. 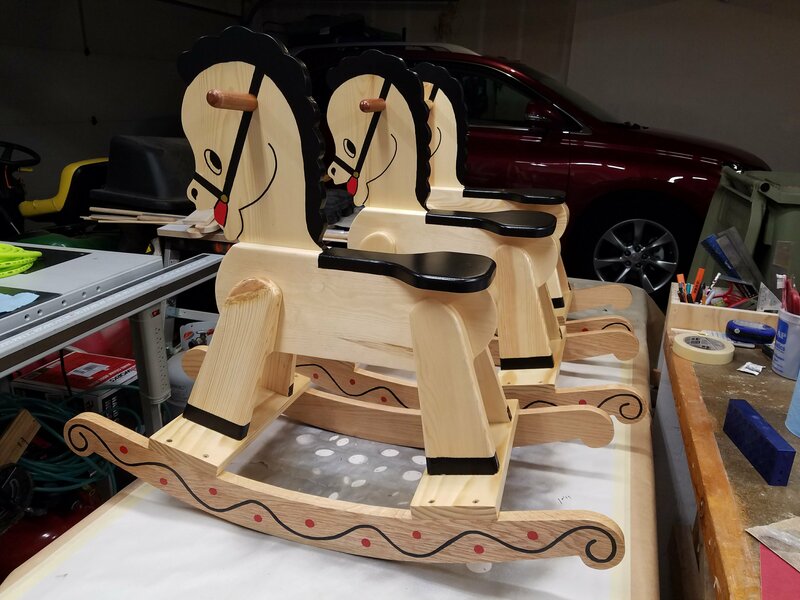 I did the design, but it’s based on a rocking horse that my father-in-law did many years ago for his grandchildren. A few years ago I created a 2D cutout template (in turbocad), and this time around imported it into fusion as profiles from which the construction was done. Surprisingly, that task only took about 2 hours late one night. Barring one alignment issue, that model ended up working very well.